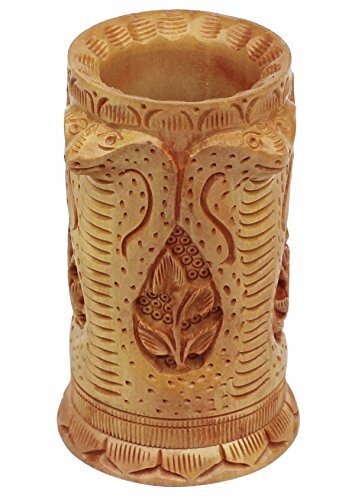 An artistic creation by the carvers of India, with expertise in woodcarving, this desk accessory is a penholder to keep your working desk or study table organized. Apart from serving as an excellent organizer, this holder also adds an unusual look to the decor through carved snake images. Sturdily built, this wooden holder is given a natural wood finish followed by gloss.